If you are looking for the best family activities in the Phoenix area, you have come to the right place. Phoenix is a wonderful choice for families looking for a warm winter destination. Commonly referred to as the “Valley of the Sun”, Phoenix rarely disappoints, as it averages 300 sunny days a year. I grew up in the Phoenix suburb of Tempe, and our kids love visiting. 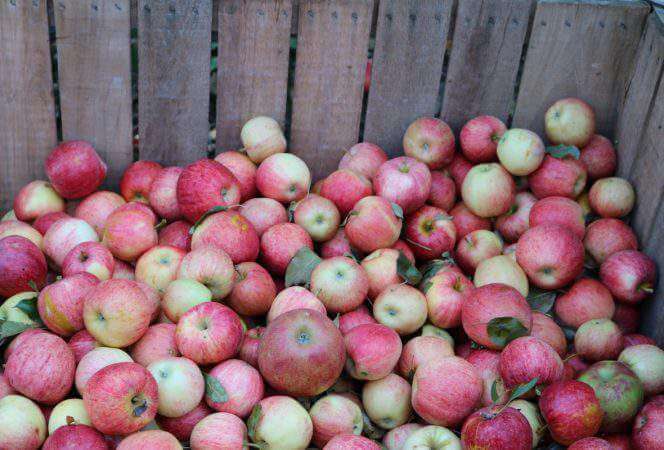 Our favorite time to visit is in the winter, spring, and fall, when the weather is best. Here are some of the best family activities in Phoenix and the surrounding area. 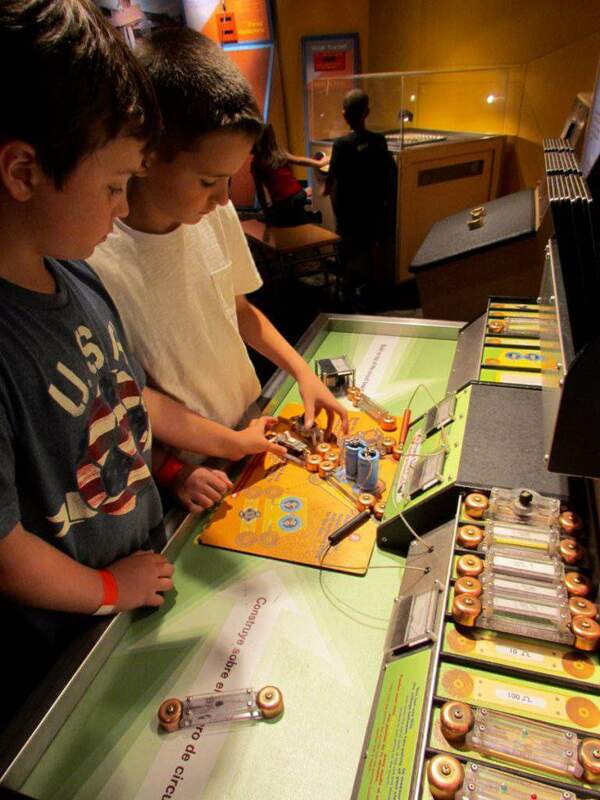 My kids love visiting the Arizona Science Center and chances are your kids will love it too. The museum houses over 300 hands-on exhibits for children and adults to explore. The Center features live science demonstrations, a planetarium, IMAX theatre, a Skycycle, the W.O.N.D.E.R. center, and so much more. The difficult part for visitors will be knowing where to begin! There are places to hike and bike all over the Valley, but some of the easiest (and most enjoyable) for families will be found at South Mountain Park or Papago Park. South Mountain Park is the largest municipal park in the United States (16,000 acres and 51 miles of trails). They have hiking, biking, and horseback riding trails available and one Sunday each month the park’s main access roads are closed to motor vehicles (check the website) making it an ideal place to explore with families. 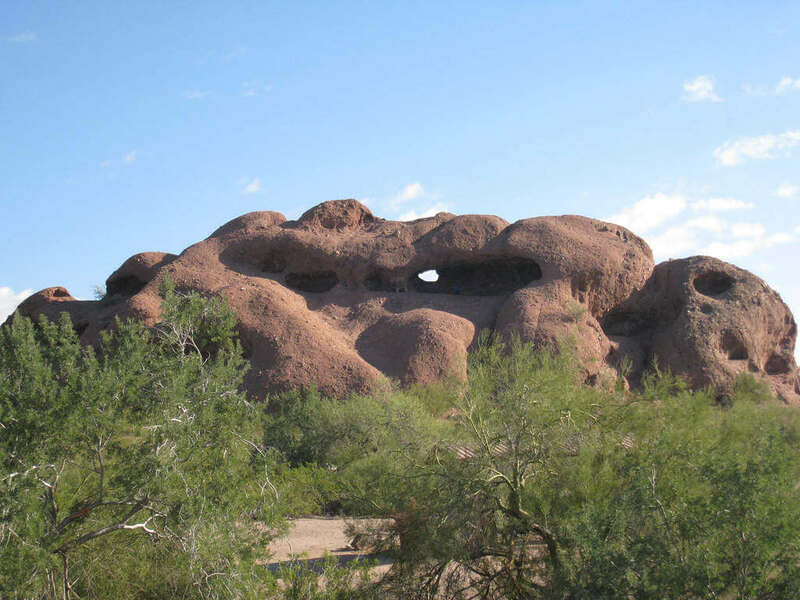 Papago Park is easy to explore as the trail has a steady incline and kids will enjoy the unique natural rock formations which make for great picture opportunities. The highlight is the “Hole in the Rock”, which is just that, a hole in the rock. Those that climb to the summit are rewarded with views of the surrounding cities, the airport, and if you hike at the end of the day, a beautiful Arizona sunset. Bikes are available to rent in downtown Tempe at The Bicycle Cellar. From here it’s an easy ride to Papago Park, Mill Avenue, and Tempe Town Lake. Pack a picnic and spend a day exploring with the kids. Papago Park is fun to explore with kids! Located adjacent to Papago Park, visitors will find the Phoenix Zoo and Desert Botanical Garden. The zoo has over 2.5 miles of walking trails, so be sure to bring a hat, sunscreen, and walking shoes. Some of the popular attractions include the giraffe encounter, Sting Ray Bay, and camel rides. There are splash pads (small water playgrounds for kids) for cooling off on hot days, paddle boats available for rent, a petting zoo, Monkey Village, and more. The zoo is home to more than 1,400 animals, so give yourself plenty of time to explore. Next to the zoo is the Desert Botanical Garden featuring plants, flowers, cacti and wildlife (think roadrunners and quail) indigenous to the desert. The best time of year to visit with children is when the their butterfly exhibit opens (a new one will open in March 2017) and when they have Las Noches de las Luminarias over the holidays. The new butterfly exhibit will allow children to witness all stages of a caterpillar’s life cycle. 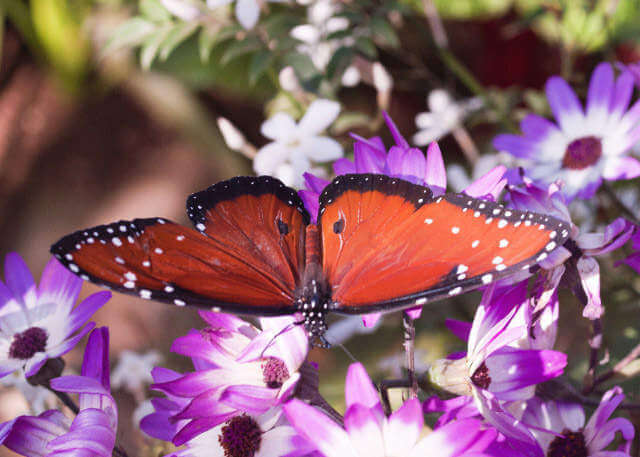 Kids love visiting butterfly gardens and watching the butterflies land on them. The Phoenix Area is home to Major League Baseball’s Cactus League and Spring Training is a big deal here. 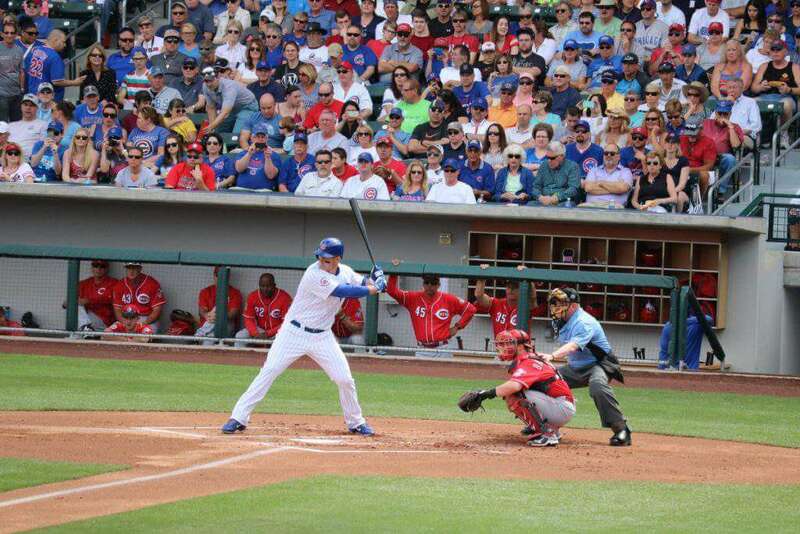 Fifteen MLB teams play in the Phoenix area throughout the month of March, and the area features the greatest concentration of professional baseball facilities anywhere in the United States. Any given day you can find a game to watch, the settings are intimate, and the weather is usually beautiful. What more could you want? If you’re thinking about taking the kids, here are some tips before you go to a spring training game. If you miss spring training, don’t worry, catch up with the Arizona Diamondbacks at Chase Field. Even on the warmest summer days, the field stays cool because there is a retractable roof over the stadium. The venue is a great place to catch a ball game. When you build a children’s museum you better make it fun, and this museum has done just that. 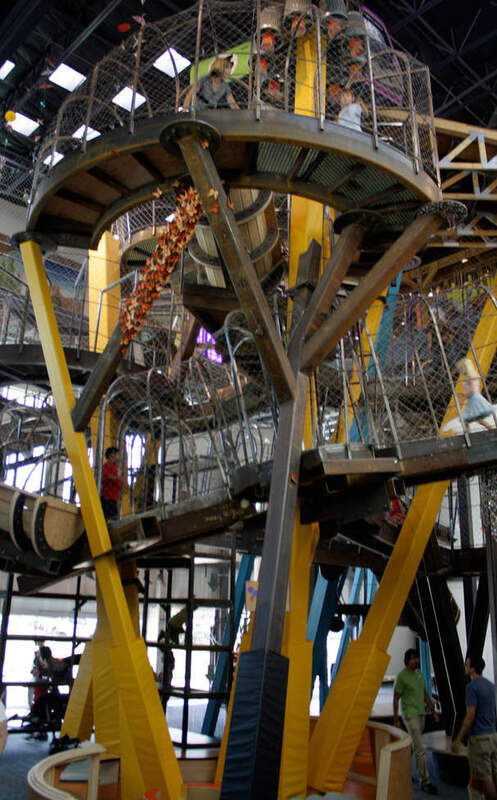 From the Noodle Forest, to the Art Studio, to the amazing play structure known as the Schuff-Perini Climber, no child should complain of boredom during their visit. There are a lot of hands-on activities and interactive exhibits. Probably best for kids ages 9 and under. In a place like Phoenix, there’s bound to be a recreated Old West town, and there is, it’s called Rawhide. This 1880s dusty “remnant” of a town, features live action cowboy stunt shows, gunfights, train rides through the desert, a petting zoo, a stagecoach, and my personal favorite, a mechanical bull. There are stores throughout town and a photo studio, as well as a restaurant. It is a fun family experience and if you watch one of the shows, know that you may end up as part of the performance! 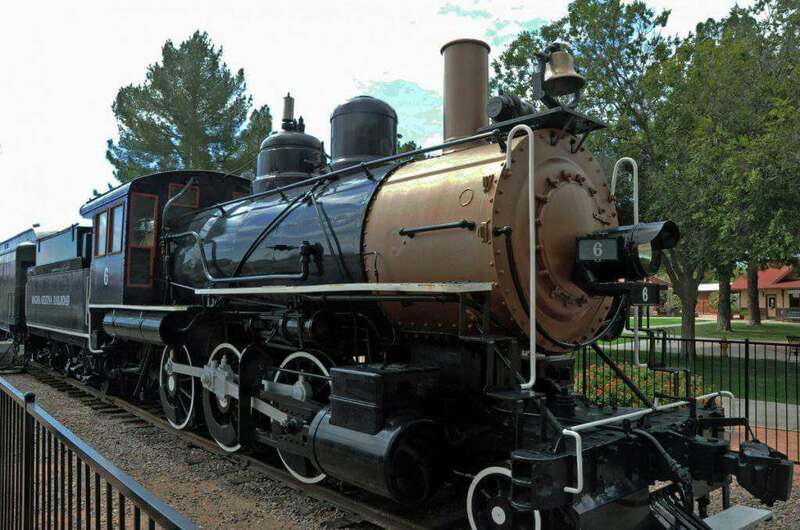 Children and adults alike love to visit the railroad park. 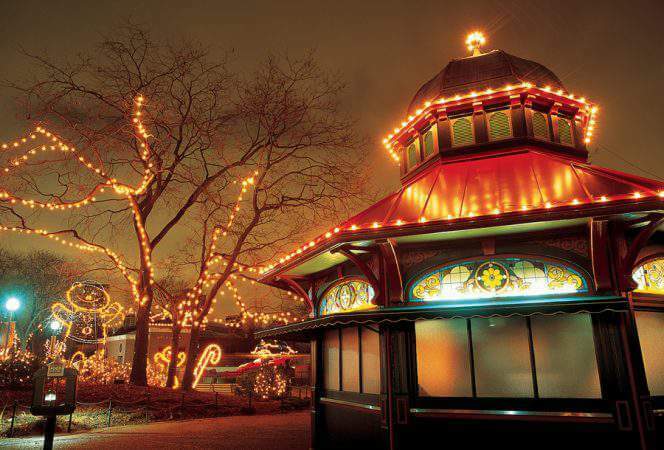 There are model railroads, trains to ride around the park, a train museum, a carousel, and playgrounds. This is a fun way to spend half a day riding the rails and learning the history of rail transportation. There are many companies that offer hot air balloon rides in the Phoenix area. Viewing the desert from above is breathtaking, especially in the early morning hours or at sunset. If you think your kids are up for it, this could be the experience of a lifetime. 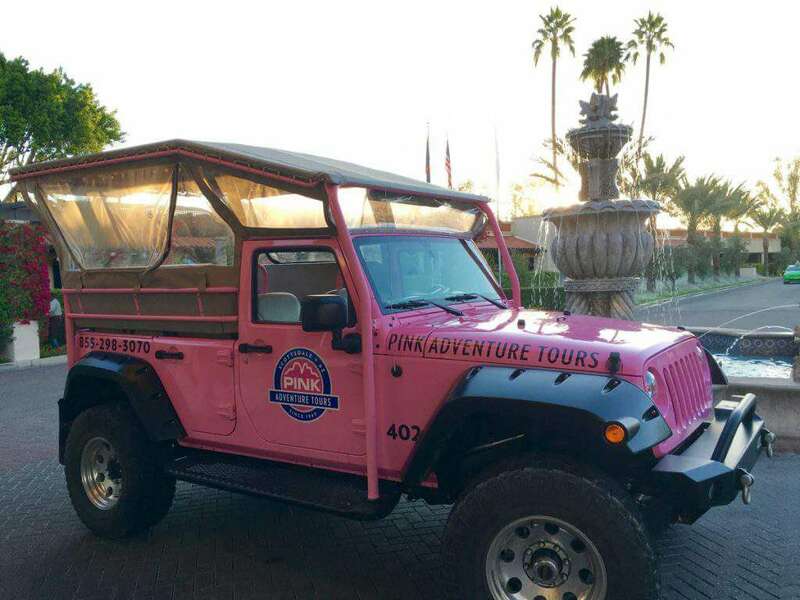 To get a close up view of the desert, consider taking an off-road tour in a Pink Jeep. The nearest offering is in Sedona, two hours away, but the tour is worth it. Imagine having an exciting ride through Red Rock country, learning about the outback, its history, and enjoying the views. It’s a perfect day out for families. Tempe is home to Arizona State University, and many people head to campus, the nearby entertainment district (Mill Avenue), and Tempe Town Lake for a day out. ASU’s campus is fun to explore, as they have some unique architecture (the art museum stands out for me) and buildings open to the public, such as the Marston Science Building that shows 3-D astronomy movies and is open for exploring on the weekends. Tempe’s Town Lake was once the Salt River, but as that dried up, it was made into a reservoir with inflatable dams on each side. Today it is a hot bed of activity where boats and paddle boards can be rented, people can take Segway tours, kids play on the Splash Playground, or families can watch a performance at the new Tempe Center for the Arts, which overlooks Town Lake. Mill Avenue has over 100 shops and restaurants and features original events, outdoor activities and festivals, and historic landmarks. There is always something going on in downtown Tempe! Several locations throughout the Valley, we have never been disappointed with their thin crust brick oven pizza. They also have delicious salads and a fun atmosphere. The staff is helpful and attentive every time we have been. Don’t be thrown off by the word “grocery”, you will want to stop here for breakfast, coffee, sandwiches, pizza, gelato, and everything else on their menu. Their muffins will melt in your mouth, pancakes are delicious too, buy some English muffins for later, because they travel well and you will want to preserve your memories of this place for as long as possible. I hate to tell you this, but once you eat Mexican food in Phoenix, nothing will ever compare. Once you eat at Barrio Cafe, other Mexican food restaurants will pale in comparison. The fish tacos are amazing and the hand made guacamole is out of this world. Go here for Mexican food and you won’t be disappointed. One of my favorite breakfast spots in the Valley, Snooze has something for everybody. Their breakfast creations are works of art and the pancake flight is unforgettable. The place is loud, but that’s what you want when eating with kids! There are several locations around town, so find one near you and get ready for a feast. 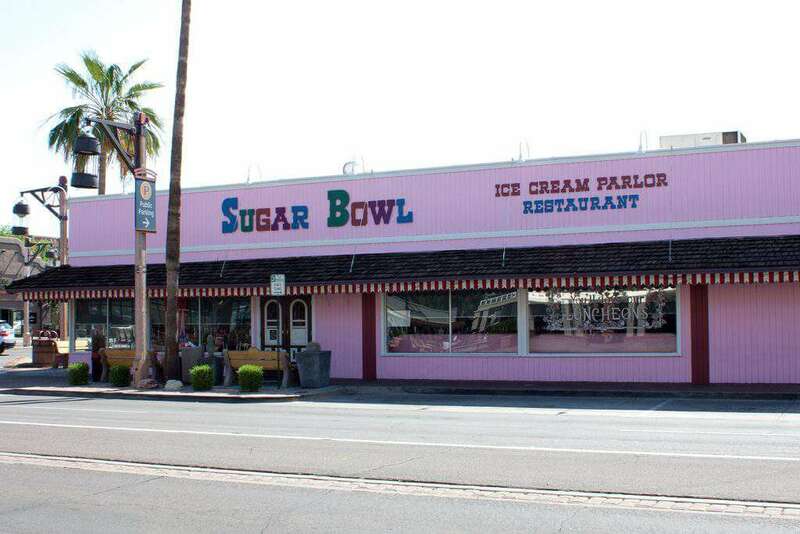 This old school ice cream parlor located in downtown Scottsdale will delight children and adults alike. You can’t miss the big pink building on Scottsdale Road, a landmark for 55 years. Love their root beer floats! Not only does this resort have fabulous dining and spa options for the adults, it has golf, tennis, and a 2.5 acre water playground complete with a three story waterslide. Just what the kids want on vacation. There’s also Camp Hyatt kids club available year round if mom and dad need a break from the kids. 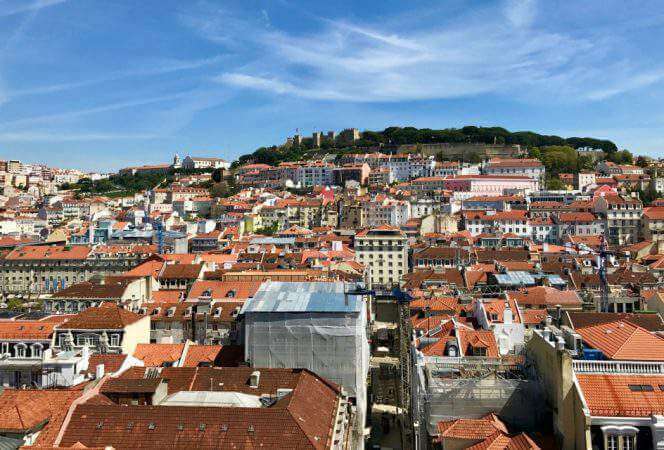 You can check out the latest prices and get more details about the accommodations, but most families will want a room with two queens or a suite for plenty of space. 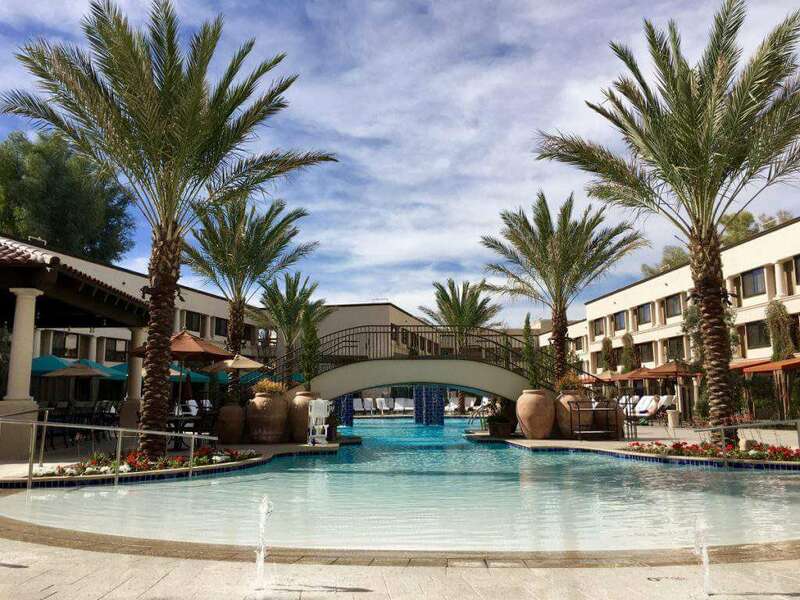 While this resort may see its fair share of conference goers, it is the perfect place for families with an excellent location in Scottsdale, generous sized rooms, and beautiful pools. The on property restaurants are top notch, but you won’t want to go anywhere else once you try their morning cinnamon rolls. See more details and get current rates for this property and read our full review here. This resort reflects the culture of the local Gila River Indian community, from its rooms, to the restaurants, to its spa. It makes for a very unique destination in the desert southwest. The property offers golf, tennis, four swimming pools, and a waterslide. Not to mention it is home to the only AAA Five Diamond Restaurant in Arizona, Kai. Nearby is Rawhide (see above) and a major outlet mall for shopping. See more details and current rates for this property. The Westin Kierland is extremely kid friendly and plans daily activities for the kids through their kids club. There’s also an adventure water park with a lazy river, a waterslide, and a “flow rider” which simulates surfing, snowboarding, wake boarding, and skateboarding all in one. Kids go crazy for it. Parents will love the luxury of the resort, the spa, the golf, and the dining. There are villas available for families seeking more space than a traditional room affords. See more details and current rates for this property. Another kid friendly property, this JW Marriott has multiple swimming pools, a lazy river, and a water slide. They also offer a Family Escape Kids Club and a nighttime PJ Party. There’s golf and a spa on property, as well as Canyon Villas, larger units for families. See more details and current rates for JW Marriott Desert Ridge. Or see more details about Marriott Vacation Club Canyon Villas (you don’t have to be a member). **This post contains affiliate links, but opinions are 100% my own. When spending the day outside in Phoenix, wear sunscreen (and re-apply), bring sunglasses, wear a hat, drink plenty of water, and bring lip balm, it is always hotter than you think. I hope you enjoyed my suggestions for fun family activities in the Phoenix area. I may live in Chicago, but Phoenix will always be my home. Do you have any favorite restaurants or attractions you would add to the list?